© Copyright Sloan Schang and Amy Hojnowski. I'm reading a new (to me) blog called Reason to Wander. 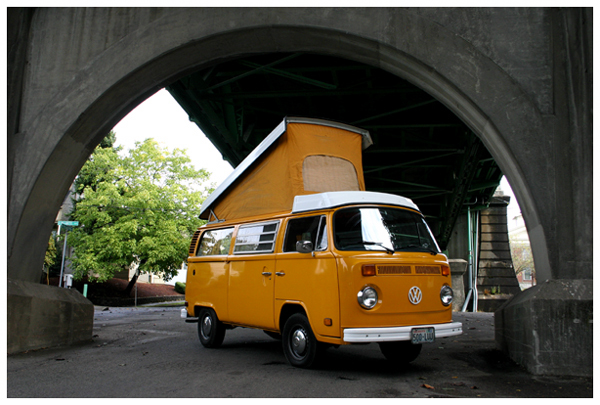 It is about a couple who traveled from Portland to Florida in a 1977 VW Camper Bus, then, after visiting with family over the holidays, left for a round the world trip. The blog is set up in a non-traditional format with each entry labeled with a number. The number designates one of at least 141 reasons to wander. The archives are full of wonderful photographs and interesting descriptions of their experiences. Some of the descriptions made me laugh, and those laughs continued with the entertaining comments. I loved their description of Delhi, India and the post about the monkeys of Pulau Pankgor, Malaysia. And the photographs! One of my favorites is of the camper bus parked next to some RVs, but there are many more to enjoy. I'm not even halfway through the archives, so I have a lot more to look forward to. Although I like the creativity of the numbered reasons to wander, I wish they also had labels so we could search through the archives easier, because I know I will want to revisit some of my favorite posts.